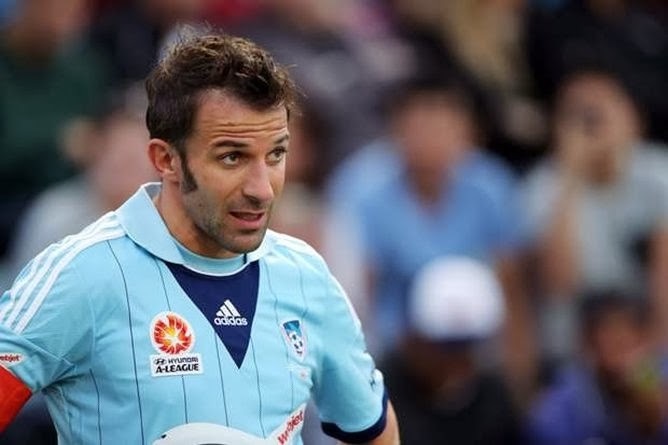 Double scorer for the Australian team Sydney FC was legendary Alessando Del Piero, who was first in the 20th minute from a penalty scored the second goal at the match, and then at opening of the second half in the 54th minute and the fourth goal for his team. Sydney FC is achieving a very important three points with which has remained among the teams that will play for the championship playoffs, and Del Piero was the eighth goal of the season at 14 league matches. The goals for the club from Sydney are still achieve Despotovic (11 ') Ryall (25') and Carla (87 '). Currently they are in fifth position with 22 points with 7 wins, 8 defeats and only one draw. In the second match Western Sydney Wanderers have mastered Perth Glory with 3-1.